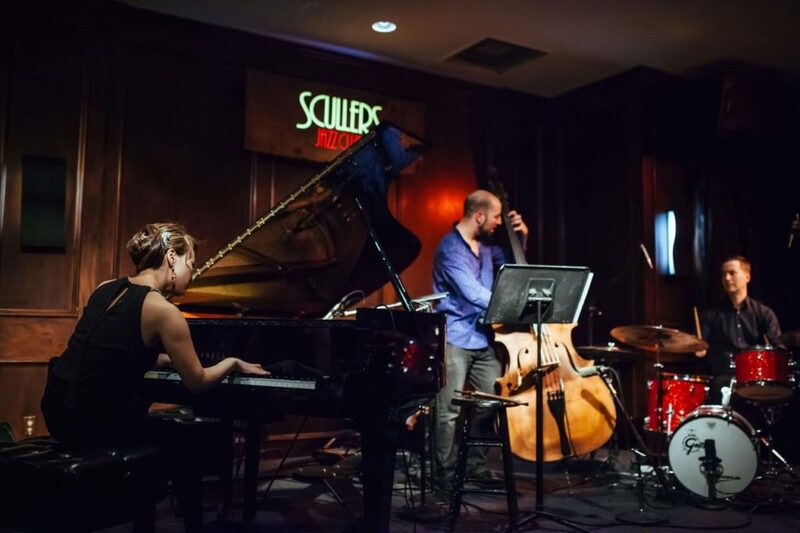 Inside Scullers’ new smaller jazz nightclub downstairs, with its dark wood interior and low light, it would be quiet except for the wonderfully energized and spirited enthusiasm that internationally acclaimed pianist and composer Yoko Miwa brings to the stage. Exuding confidence – or more like pride without ego – Ms. Miwa brought her audience into the conversation about her life, her music and her passion for jazz. 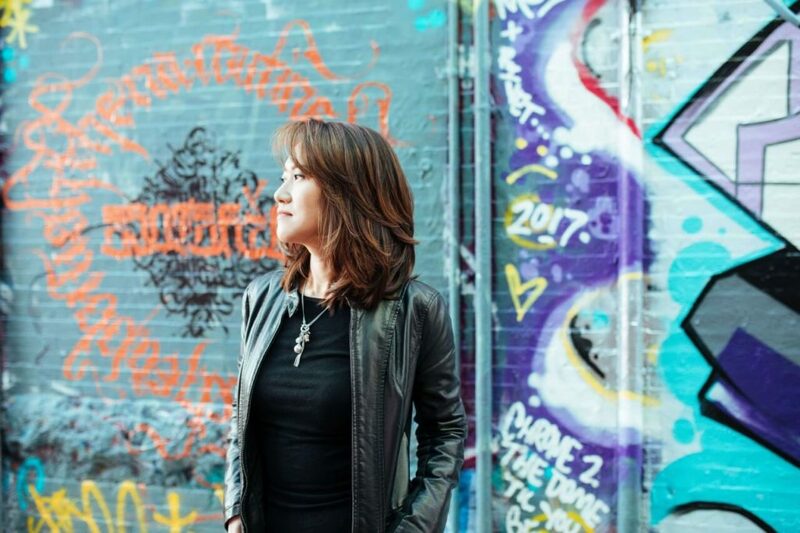 But when she sat down, fronting the Yoko Miwa Trio – she was all business, delivering a dexterity of command across the keyboard with ease and grace. Miwa has been scoring attention for a decade now, heralding from Kobe, Japan and fronting her trio, performing worldwide and with top talent including Jon Faddis, Arturo Sandoval and Esperanza Spaulding. Backed by bassist Will Slater and drummer Scott Goulding, it was clear that the chemistry of the three-some was going to offer a tight set of potent jazz this evening. The evening also celebrated the success of Miwa’s new recording “Pathways” (May, 2017) and the Yoko Miwa Trio opened by playing several songs from this release, which treated the audience to the growing critical acclaim of this recording. 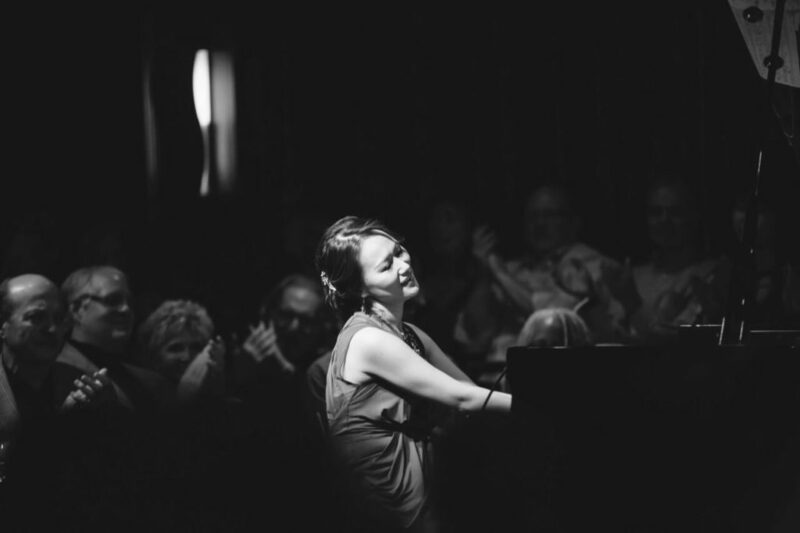 As articulated by Jeremy Goodwin of the Boston Globe, “Pathways is bright and accessible…Miwa’s technical chops are evident, yet she’s anything but showy; she prizes space in her sound, and leaves room for the deep interplay her group has honed over the years.” After playing several selections from this release and receiving a lasting applause, Miwa took to the mike with a big smile. She had a lot to cheer about, as “Pathways” remained in the Top 10 of JazzWeek’s national radio charts for 4 weeks, and then top 40 for 10+ weeks. 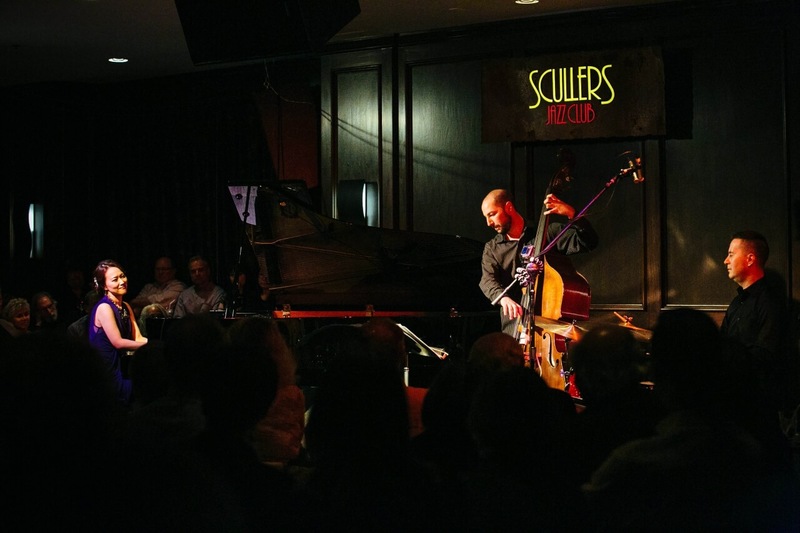 After thanking Scullers and other media, promotors and artists for support in her career, acknowledging their part in her recent chart-topping success, she gave praise to her bassist Will Slater and then surprised most of her audience by introducing her drummer as not only a long-time musical partner but her husband as well, Scott Goulding. She had some fun with making a mistake about the actual number of years together, and then went back to business, on the keyboard. Clearly, Yoko Miwa was at home both on stage at the piano, and when connecting with her audience. The second half of the set was an eclectic mixture and showed off the Yoko Miwa Trio’s ability to launch into diverse material, moving in different directions in tempo and rhythm. From a more personal standpoint she returned to a quieter and reflective original composition “Sunset” that she dedicated to the friendship and loss of a best friend’s dog – remembering the long walks together on Gloucester Beach at sunset and moonlight. She asked her friend, who was in the audience, not to cry too much – but then quickly added – “but it’s ok if you do.” Not sentimental, but the tenderness and softness of the keyboard action was emotional and connected with its listeners. The trio followed on with a rendition of Joni Mitchell’s beautiful song serenade “Court and Spark” as the band showed off their interpretive range with each member getting extended soloing opportunities, and Miwa bringing the melody back for a perfect finish. Closing the set, Miwa chose a piece from the genius of Thelonious Monk, “Green Chimneys”, and took on the heavy chords and complicated phrasing of this masterpiece and delivered it with her own touch. The rest of the band followed Miwa’s focus when it was their turn to lead. A strong, complicated number to close on and to powerful effect. Miwa had made her own powerful statement tonight, at Scullers, and the audience had smiled along with her.